A couple of days ago, we discussed the basics of DUP (Daily Undulating Periodization) training, including its history and the three core principles that define it. Today, we will further explain how DUP can benefit your workout, and we have prepared a program for you in the end. So let’s get to it then, shall we? The first thing people usually ask when they check out the DUP training routine is “Does it actually work?” Yes. Yes, it does. The catch is that this can be observed as volume per session, per week, or even per training cycle. It’s all up to you. 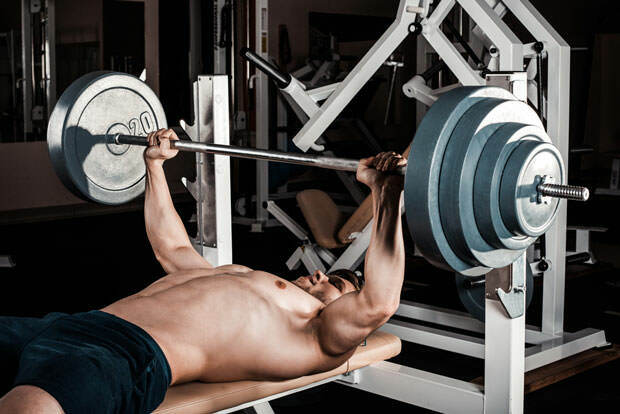 Volume is, quite possibly, the most underrated component of any muscle-building routine. According to hypertrophy researcher Brad Schoenfeld, if you plan on maximizing muscle development, HIT isn’t enough – you need a substantially higher training volume. Whenever you target weekly volume, the best results are achieved by utilizing a periodized approach while strategically manipulating the number of sets over the course of a training cycle. What you have to realize is that repeatedly training with high volumes will inevitably lead to overtraining. Moreover, evidence shows that volume has an even greater correlation with overtraining than it does with intensity. When you embrace periodization as the solution, you can fully reap the benefits of a high training volume while making sure you will never end up in the much feared (with good reason, mind you) overtrained state. With DUP, you get a much higher total weekly volume than what you can hope for with a typical once-a-week split. Volume is paramount in hypertrophy, and not that much in intensity, muscular damage, or metabolic stress. In addition, the rate of the growth/repair of the muscle tissue peaks at about 24 hours post-workout, and is back to normal around 36 hours after training. Respectively, by training more frequently, you’re maximizing your increases in MPS through the week. Also, never forget that strength is a skill, and skills take time to perfect. Basically, not only does DUP work but it’s much more effective than a typical bodybuilder-style split in so many aspects. Keep in mind that it’s easy to get carried away, and this might be the only issue with DUP – try to train every single lift four to six times per week, but don’t get caught up in the plethora of rep ranges and loads, as you can easily end up spending more time in the gym than you do at work! Anyway, here’s the DUP routine, simplified. You only need four sessions per week, and each shouldn’t last longer than 60 minutes to get maximum results in strength and size gains.